Bali Arts Festival (PKB) which is routinely held every year in Bali, and is based in Denpasar, has now lasted as much as 34 times. And in 2013, the Bali Arts Festival is the art of the 35th parade. Program is an annual event that is held by the Provincial Government of Bali. With an aim to arouse the arts in Bali to stay awake and not extinct. Bali Arts Festival (PKB) this year, the same as in previous years, followed by artists from all over Bali. In addition to artists from Bali, PKB activity was also attended by artists from various countries. Implementation is based in Denpasar, Denpasar Art Center. Held on 15 June to 13 July 2013. 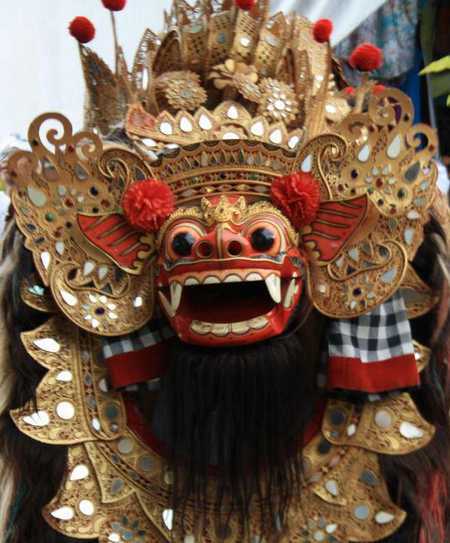 This year, the Bali Arts Festival 2013 (PKB 2013) Taksu theme, the inspiration and charisma that were presented in the form of traditional art performances. Inspiration is always owned by Bali so as to realize everything has a value and usefulness for the benefit of human beings and the natural surroundings. Taksu for the Balinese is the talent of a person to a work set forth in such form, art, sound, and so on, so as to produce a work that is very beneficial to many people. Taksu existence became a symbol of intellectual must dilimiki, maintained and developed. Therefore, the majesty Taksu proven upheld by the Balinese, with a place of worship at any shrine family, which is a tribute to God for giving out the knowledge and talent to man. Bali Arts Festival event also serves a variety of traditional crafts and culinary Balinese people, who appear in many exhibition booths. Parean cloth, batik, jewelry, clothes, art, and other artistic performances. In Bali Arts Festival performances (PKB 2013), a variety of exciting activities will enliven the event, among them the traditional Balinese dance performances, Balinese culinary exhibitions, such as chicken and duck and suckling pig and betutu lawar. The cuisine is traditional Balinese dishes are often presented in the daily life of the Balinese. There are also a variety of competitions, fashion parades, flower exhibition, and exhibition of traditional handicrafts.